How can small and medium businesses prepare against climate change? Climate change has an impact on businesses. Flooding, hot summers, droughts and severe storms and winds can damage business premises and disrupt suppliers and customers. Business directly impacted by the 2007 floods took an average of 26 weeks to return to normal operating capacity. Some small businesses can take up to two years to recover from a flood – and some do not survive. Rail commuters in Birmingham endured extensive delays on 17 July 2006 as the extreme heat caused railway lines to buckle. Many services from New Street Station in Birmingham had to be cancelled and some passengers had to wait more than two hours. The flooding in July 2007 was caused by a month’s rainfall in 1–2 hours and caused interruptions to electricity and water supplies, and significant disruption to road and rail networks. After the flooding in June and July 2007, insurers received 165,000 claims in the UK, estimated to total £3bn in insured damages. Economic and social costs were far higher, as not all costs to businesses can be insured. The West Midlands Climate Change Adaptation Partnership knows that it is crucial that businesses understand the consequences of climate change. 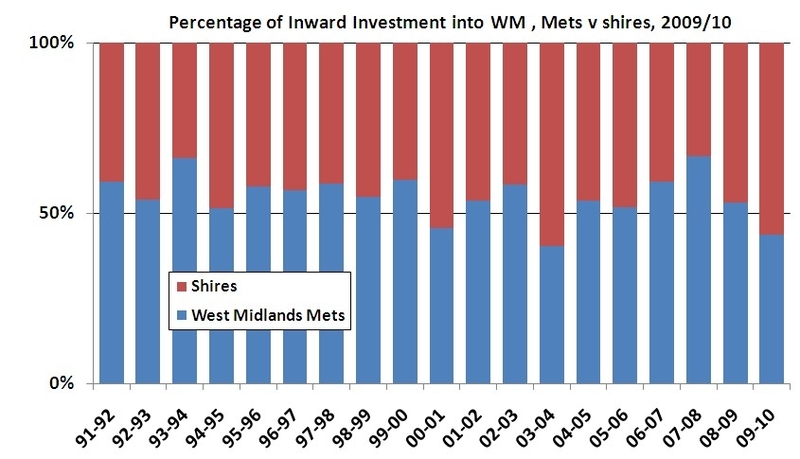 This is why they released a practical guide explaining how small and medium businesses in the West Midlands can save and make money from climate change (pdf, 357kb). Planning and being prepared are the way forward as opposed to just reacting whenever disaster hits. This will allow businesses to save money in the long term, continue operations in spite of the weather and identify potential business opportunities. The guide also provides examples of opportunities for small businesses, useful tools and contact details of regional support available. Photo credit: Worcester bridge by Russell Trow. At its launch last month, the 3% campaign – developed by the Young People’s Enterprise Centre of Expertise – outlined its ambitious aim to create 5,000 young entrepreneurs by 2012. The campaign, backed by Advantage West Midlands and Business Voice WM, was based on research highlighting a number of barriers young people face when it comes to starting a business and accessing support in the West Midlands. Relatively small amounts of funding can be instrumental in enabling young people to start productive businesses, but there is a gap in provision for those who do not meet the Prince’s Trust deprivation criteria or those not on student enterprise schemes. Young entrepreneurs have short work histories and require business advisers and mentors who have relevant business experience to provide essential knowledge. Young entrepreneurs highlighted the loneliness of working on their own when starting a business and the need for a pro-active support network. Application forms for support are perceived as excessively bureaucratic and jargon-laden, deterring young entrepreneurs not familiar with the terminology and business. Although a culture change is reported, many of our young skilled entrepreneurs are entirely disengaged from school. Enterprise activities in schools are highly valued and supported, with the emphasis on getting young entrepreneurs involved in the Further Education sector.